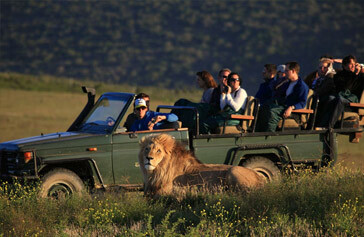 Countless visitors to the beautiful Cape Town often want to add a quick safari to their trip. Though there is no game reserve on Cape Town’s terrain itself, there are several excellent wildlife parks and reserves within hours of Cape Town. Private game reserves in the Western Cape offer easy access from the Wine-lands. As for those wishing to explore the Garden Route, there are excellent reserves in the Eastern Cape. Many of the reserves can be visited for just a day or quick overnight from Cape Town. Tucked away past the vineyards and the mountains, Fairy Glen is found at a comfortable 1-hour drive out of Cape Town. 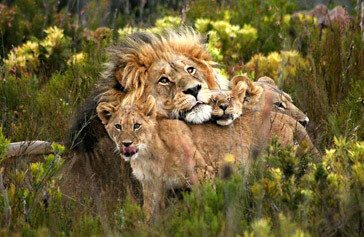 It created history by becoming one of the first Big 5 safari reserves in the Western Cape. Along with the popular mammals, it also proudly boasts of a great variety of antelopes and bird species. Fairy Glen can even be considered as one of the best reserves in South Africa. The lion, leopard, elephant, rhino and buffaloes throw visitors in this environment that is so different from other parks. Fairy Glen game reserve also offers accommodation, and the luxurious chalets are found in the midst in breath-taking scenery overlooking the reserve. The budget-friendly safari tours at Fairy Glen make it suitable for those looking for an inexpensive, close-by option. Apart from a 4×4 game drive, visitors can opt for an unforgettable horseback safari. Its buffet-style restaurant boasts a traditional African flair and offers vegetarian options. Fairy Glen game reserve is a memorable destination which offers you a true and authentic African safari. Aquila Private Game is one among the closest Big 5 safari reserve to the Mother City. From Cape Town, it takes 2 hours to drive to the reserve in Southern Karoo. As such, it is a must-see place of interest and is now recognised as a major tourist attraction. The 7500-hectare private game reserve offers both overnight and day tour options. So, it is possible to participate in an intimate wildlife safari up close and personal with a proud lion or a majestic full-grown elephant and be back in Cape Town by nightfall. Aquila Private Game offers a range of safaris: horseback rides, game drives, quad bike adventures and even plane trips! It also has luxurious chalets and provides accommodation for solo travellers, couples, families and groups at a reasonable price. Found at just a 3-hour drive outside the city centre in the Klein Karoo, Sanbona Wildlife Reserve provides one of Cape Town’s most exclusive safari experiences. At 54,000 hectares, Sanbona is one of the largest privately owned game reserves in South Africa. Here, the unique Klein Karoo semi-desert setting provides a scenic backdrop for viewing the Big Five (lion, buffalo, rhino, elephant, and leopard). You can also get glimpses of other wildlife such as giraffes, the highly endangered riverine rabbit and the rare white lion. 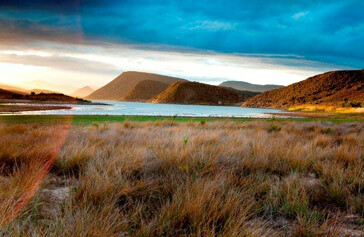 If you are looking for a luxury escape at a five-star game reserve, then Sanbona Wildlife Reserve is the place for you. With three stylish and elegant lodges, Sanbona Wildlife Reserve also provides accommodation to its guests. The game reserve also has a kiddie program, offering a choice of kids’ activities and entertainment. 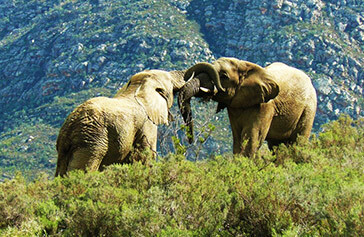 The Garden Route Game Lodge lies right alongside the Garden Route at 3.5 hours’ drive from Cape Town. Morning and evening game drives are led by experienced game rangers who share their knowledge of big game as well as the many other antelope species, birdlife and local African folklore. Garden Route Game Lodge is currently home to giraffe, white rhino, lion, elephant, kudu, zebra, wildebeest, and many other species of game. Visitors to the Garden Route Game Lodge can enjoy game viewing in open Land Rovers, luxury accommodation and a memorable dining experience in the Boma restaurant. The friendly staff and management are there to take care of every need to complete the unforgettable stay. Gondwana is a private game reserve, about 4 hours’ drive away from Cape Town. Despite the long drive, once you reach the reserve, you will be glad that you came - the reserve holds the distinction of being the only fynbos reserve in the world which is also home to free roaming Big Five game and other endangered species like the Cape mountain zebra, black rhinoceros and black harrier among many others. As a Garden Route game reserve, Gondwana shares the route’s pleasant climate. Its stunning beauty will soothe and delight you with its endless mountain views and green rolling hills blanketed in colourful fynbos. Visitors to the Garden Route Game Lodge can enjoy game-viewing in open Land Rovers, luxury accommodation and a memorable dining experience in the restaurant. The friendly staff and management are there to take care of your every need to complete your unforgettable stay.